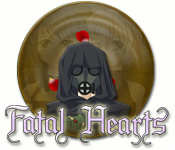 We've released an extensive guide to Fatal Hearts, thanks to the hanako (the same folks who made cute knight) game community. Fatal Hearts features a deep choose-your-own-adventure story where the choices you make affect not only the ending of the game, but how you get there. The backgrounds in this game are a treat, drawn in the style of Japanese anime.